In the heart of southern Africa, land-locked Zimbabwe is a vibrant country with dramatic landscapes, abundant wildlife and all the fun activities and warm hospitality you could ask for on safari. Zimbabwe boasts big game and diverse wildlife species, plentiful birdlife and highly professional guides ensuring this is the perfect destination for those active and adventurous travellers. 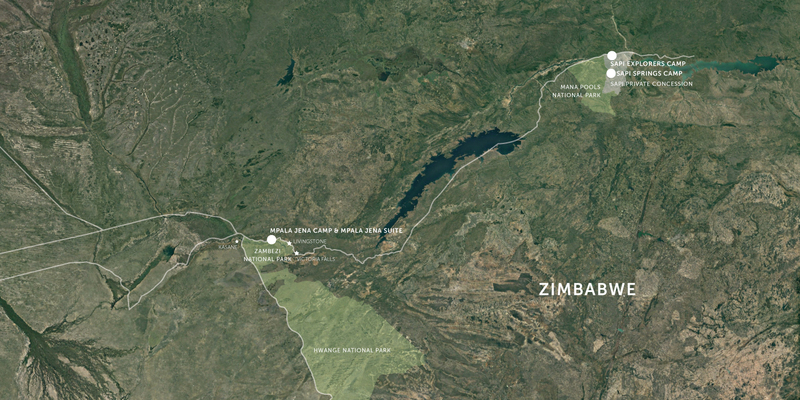 Zimbabwe is also home to five Unesco World Heritage sites including the majestic Victoria Falls and the Mana-Sapi-Chewore biosphere, that travellers can explore with Great Plains Conservation. 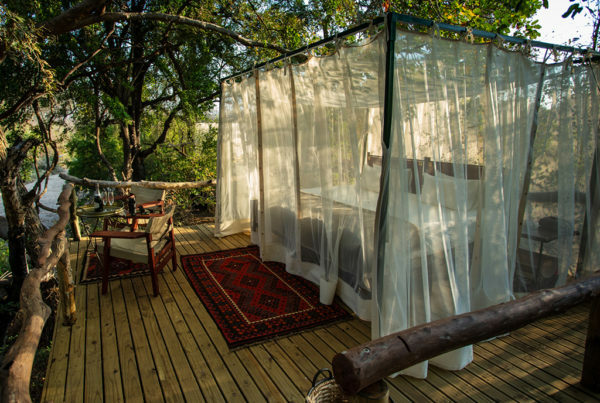 The luxurious Mpala Jena Camp and Suite are located in the Zambezi National Park, a peaceful safari-setting with easy access to Victoria Falls and all the activities the town and Falls boast. By contrast, our Sapi Explorers Camp and Sapi Springs Camp, set in the heart of the 120,000 hectare private Sapi Reserve, located on the eastern boundary of the Mana Pools Reserve and by default expanding the area under conservation for wildlife by an additional two thirds area of protection. The Sapi Reserve is a remote and wild safari experience. Like the Selinda Reserve in Botswana, the Sapi Concession was a former hunting concession that Great Plains Conservation assumed the responsibility of a few years ago to conserve and protect as a photographic safari destination. Guests of Sapi Explorers Camp and Sapi Springs Camp have the opportunity to explore this stunning wilderness by vehicle as well as, in the footsteps of early explorers, guided on foot, canoe and boat by our expert wildlife guides. Despite a turbulent history, Zimbabweans are some of the nicest people you will ever meet and after some difficult years, the country is reclaiming its rightful place on Africa’s safari circuit. Great Plains Conservation is proud to join them on that journey. 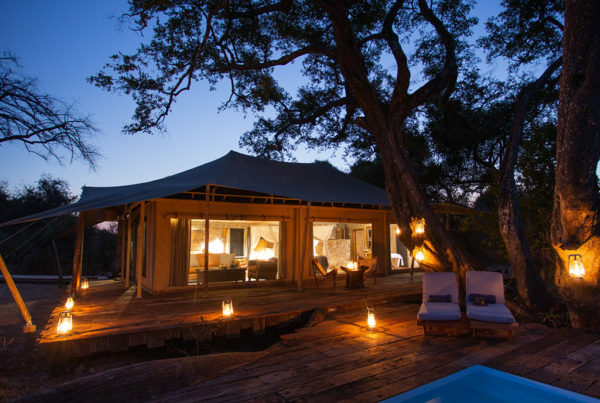 Mpala Jena Camp is an exquisite tented camp, located in a private concession within Zambezi National Park overlooking a beautiful stretch of Zambezi River and in the shade of indigenous trees. 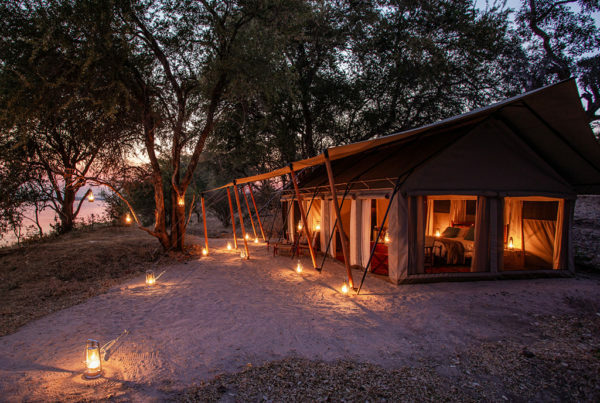 Our Sapi Explorers Camp, located along the Zambezi River, creates a safari experience reminiscent of the old African explorers with a romance of yester-year, whilst ensuring that adventure and discovery are essentially part of the journey. 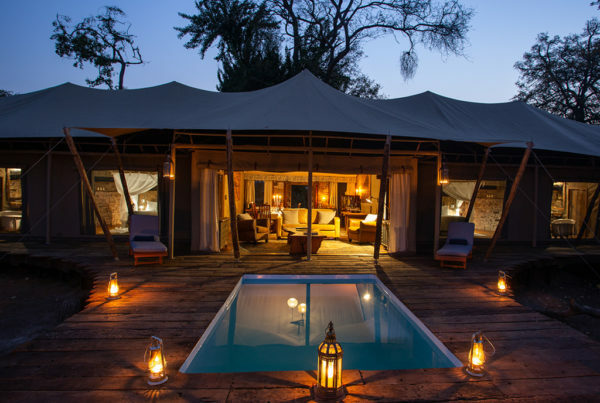 Our Sapi Springs Camp, located inland along the seasonal Sapi riverbed, creates a safari experience reminiscent of the old African explorers with a romance of yester-year, where guests have the opportunity of sleeping under the canopy of trees.